Six-member boy band 2PM and Brown Eyed Girls' member Ga-in took the crown on televised music programs during the final week of October. 2PM scored their second consecutive win on KBS' Friday music show Music Bank with their new title track "I'll Be Back" from their latest mini-album "Still 2:00PM." "We want to turn the honor to the people at our agency and our fans," the members of 2PM said in their acceptance speech. Meanwhile, Ga-in, who began her solo career in early October, grabbed her first win on SBS Sunday show "Inkigayo" with her song "Irreversible." The songstress gave a tearful acceptance speech saying that she is thankful for the win though it was her last day promoting her title track from her solo album "step 2/4." Having made her debut in 2006 as one of the main vocalists in the four-member girl group Brown Eyed Girls, Ga-in is the second member of the group to begin her solo career. 19:29 KWON Psy sunbaenim..Seriously the best..! The best! Finally I'm giving fan account from my mom. Left home with a set of cookies prepared a night before. For Khunnie, for Junho, and for my second Junsu. Three in total. Afterwards mom and me went home on subway. Me: Mom, how was it? Tell me, tell me. Mom: Felt nervous like that for a first time in long while. Me: Mom, you? Nervous? kkk Wow, tell me quick! But Taecyeonie: "Oh... Thank you." You babo, mom asked if there are fans in their 50's. Even so, mom was glad to see Taecyeonie and after receiving a handshake, she went further. Mom gave the cookies with "My daughter made this. And Junsu smiled brightly: Will eat them well!!! Wooyoung didn't seem to be in the best shape, so mom didn't bother him and just went along after receiving his sign. Mom: During the last fan sign, my daughter gave him a hat, did you receive it well? "I can be a nuna too"
That moment Chansung burst out laughing. Anyways, according to mom, the boys looked rather tired. Also, the event was directed really fast and it was hard to talk with them. MC Kim Gura told about his misunderstanding towards 2PM Junsu. On the 20th airing of MBC Golden Fishery Radio Star, 2PM members Taecyeon – Woo Young and Miss A members Min – Jia made appearance as guests, while Tony An came up as special MC. In the show broadcast, Kim Gura showed an unusual interst towards 2PM. “When the first time I knew your group’s main vocal’s name was Junsu, I just later realized that he’s not the double roles of Xiah Junsu.” he said referring to TVXQ member Xiah Junsu. On today Special Stage, the representatives from SHINee,2NE1,Beast,2PM shows their dance skill with dancing to Michael Jackson's Famous Song titled 'Thriller'. Check out their appearance on clip below! Backstage photo of Chansung & Wooyoung with Minzy, Taemin & Kikwang on Inkigayo. Uploaded by wild2day. - Independent web videos. Uploaded by wild2day. - Arts and animation videos. May be redistributed but NOT reuploaded. 12:05 KHUN T.S. : Happy People - R. Kelly =] The world will be a happy place if we, the people, are happy! Still 2:00PM ranks on the US Billboard Charts in the World Album category at #13! 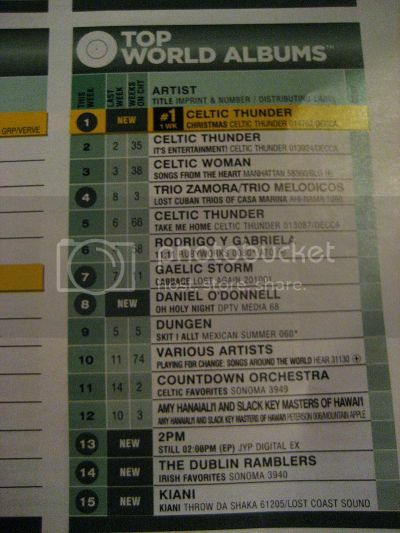 (a couple of weeks ago, 2NE1's album, To Anyone also ranked on the same chart!). According to Billboard the chart ranks, "the week's top-selling world music albums, ranked by sales data as compiled by Nielsen SoundScan." Congratulations to 2PM! :) We'll continue to track this for the next couple of weeks! *UPDATE* Hottests began tweeting the news at Khun and the boys and Khun retweeted! During a segment on October 30th’s broadcast of ‘Oh My School‘, 2PM member Taecyeon showed off his dancing prowess to the music and choreography of Rainbow’s ‘A’ and miss A’s ‘Breathe’. It seems the lady guests along with F.T. Island’s Lee Hong Ki really enjoyed the performance, check it out below! For KBS 2TV’s “Oh My School“, 2PM’s Ok Taecyeon drew a graph charting the most significant moments of his life, and chose former member Park Jaebeom’s departure as the worst moment. Ok Taecyeon explained that his life had a total of three crucial events: the first being his immigration to America, his repetitive life as a JYP Entertainment trainee, and finally, 2PM’s former leader’s Park Jaebeom’s withdrawal. In his graph, Park Jaebeom’s exit was drawn directly on the bottom edge of the sheet. JYPE terminated Park Jaebeom’s contract this past February, leading to a secession of 2PM activities and the jump into a solo career. Check out Nichkhun on the Easy MAgazine's cover! Junsu, Taecyeon & Chansung on MBC Sebakwi. There will be countdown comment videos from the 2PM members leading up to their Japan debut! The members' video comments will be for the countdown to when those go on sale. Since there won't be only one comment on only one day...please check (the site) everyday! Uploaded by wild2day. - Discover more animation and arts videos. Uploaded by wild2day. - Discover more animal videos. 샤이니의 민호와 2PM의 택연이 댄스 배틀을 벌였다. 30일 오후 5시 15분에 KBS 2TV에서 파일럿 프로그램 '오! 마이스쿨'이 첫 방송됐다. 이 자리에 게스트로 민호와 택연이 자리했다. 첫 방송 축하 무대로 민호가 댄스 고수들만이 소화할 수 있다는 마이클 잭슨의 퍼포먼스를 선보여 카리스마 넘치는 눈빛과 완벽한 안무로 무대를 사로잡았다. 이에 MC들은 “너무 멋있다. 다음 차례인 택연이 긴장을 많이 하겠다”며 긴장감을 조성했다. 민호 다음에 택연이 자리했다. 택연은 최고의 인기를 구가하는 걸그룹 댄스의 진수를 제대로 선보였다. 그룹 레인보우와 미쓰에이의 안무를 앙증맞으면서도 파워풀하게 소화해 완벽히 택연의 스타일로 재해석해 박수를 많은 환호성을 받았다. 이날 첫 방송된 파일럿 프로그램 ‘오!마이스쿨’은 기본적인 인성과 연예인으로서의 재능을 모두 갖춘 스타를 뽑는 형식으로 진행되는 포맷의 예능프로그램이다. 진행은 박명수 박경림, 유세윤, 토니안이 맡았다. SHINee's Minho and 2PM's Taecyeon participated in a dance battle with each other. On the afternoon of the 30th at 5:15PM, KBS 2TV's pilot program 'Oh! My School' was aired for the first time. In this episode, Minho and Taecyeon took place as guests. For the first airing celebratory stage, Minho showed a Michael Jackson performance, which is said to be one of the hardest out there, and grasped the stage in his hand with his charismatic look and perfect dance. At this, the MCs created tension by saying, "That was very cool. Taecyeon who's next up is going to be nervous". Afterwards, Taecyeon took place. Taecyeon managed to show the real value of the popular girl group dances. He received a lot of applause by handling the group Rainbow and Miss A's dances in a cute but powerful way, reenacting it in Taecyeon's style. The pilot program that was aired for the first time this day, 'Oh! My School' is a variety program in the format of choosing the star that has both the basic personality and abilities of a celebrity. MCs are Park Myung Soo, Yoo Seh Yoon, and Tony Ahn. 배우 손은서와 2PM의 택연이 완벽한 호흡으로 무대를 달궜다. 30일 오후 5시15분에 KBS 2TV '오! 마이스쿨'이 첫 방송됐다. 진행은 박명수 박경림, 유세윤, 토니안이 맡고 게스트로 배우 손은서와 가수 택연도 함께 했다. 첫 예능 신고식을 치른다는 손은서는 2PM의 노래인 ‘내 귀에 캔디’ ‘I'll be back’ 등의 곡에 맞춘 댄스를 준비했다. 택연은 예상치 못한 2PM의 노래에 자동으로 무대에 올라와 손은서와 호흡을 맞추며 무대를 후끈 달아오르게 했다. 이에 MC들은 “택연이 뒤에서 안무를 함께 다 해줬다” “화면으로 보면 진짜 잘 어울렸을 것이다”라고 전했다. 한편 이날 첫 방송된 파일럿 프로그램 ‘오!마이스쿨’은 기본적인 인성과 연예인으로서의 재능을 모두 갖춘 스타를 뽑는 형식으로 진행되는 포맷의 예능프로그램이다. Actress Son Eun Suh and Taecyeon heated up the stage with their completely in-sync steps. 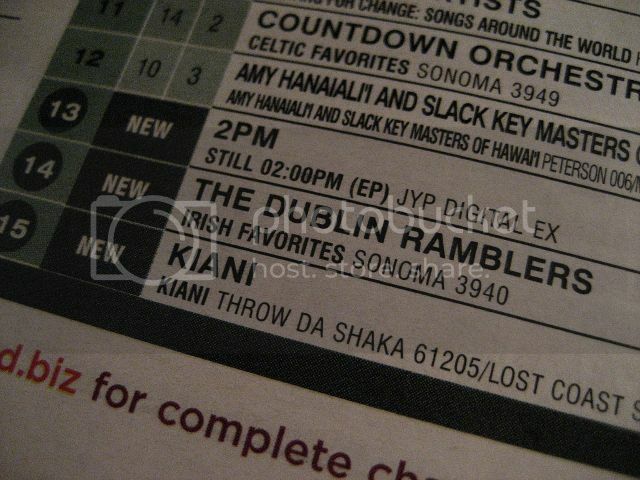 At 5:15PM on the afternoon of the 30th, KBS 2TV's 'Oh! My School' had been aired for the first time. The MCs were Park Myung Soo, Park Gyung Rim, Yoo Se Yoon, and Tony Ahn, and actress Son Eun Suh and singer Taecyeon came as guests. Son Eun Suh, who has been known to appear on variety for the first time, had prepared dances for 2PM's songs 'My Ear's Candy' and 'I'll be back'. Taecyeon, who had not being expecting 2PM's song, automatically came up to the stage and danced with Son Eun Suh, heating up the stage. At this, the MCs said, "Taecyeon did all the dance moves behind her" "I think they're gonna look good togther on the screen". On the other hand, pilot program 'Oh! My School' which had aired for the first time this day, is a variety program that has a format of choosing the star that has both the basic nice personality and talent as a star. '짐승돌' 2PM의 장미퍼포먼스가 여배우들 얼굴에 미소를 안겨줬다. 2PM은 10월29일 오후 서울 회기동 경희대학교 평화의 전당에서 개최된 제47회 대종상영화제 시상식 축하공연에서 '온리 유(Only you)'와 '아윌비백(I'll be back)' 뜨거운 무대를 선보였다. 2PM은 '온리유'를 부르며 여배우들에게 장미꽃을 선물해 눈길을 끌었다. 닉쿤은 신인여우상의 주인공 이민정에게, 준호는 영화 '방자전'의 조여정에게 장미꽃을 전달했다. 택연은 김정은에게 장난스럽게 다가가 장미꽃을 전해주고 김정은은 포옹으로 답례해 친분을 과시했다. 2PM 의 로맨틱한 무대에 여배우들의 입가에는 미소가 끊이지 않았다. MC 신동엽은 "아까 소녀시대 무대에서는 배우들이 표정관리를 했는데 지금은 다 같이 활짝 웃고 있다. 특히 윤여정 선배님도 세상 가장 해맑은 미소를 짓고 계신다"며 짓궂은 멘트로 웃음을 자아냈다. 한편 소녀시대 축하무대에 냉담한 반응으로 인해 '소녀시대 굴욕'이 화제가 되어 인터넷을 시끌케 달군 바 있다. 2PM showed a hot performance of 'Only You' and 'I'll be back' at the 47th Daejong Hot Movie Awards opened on the 29th of October which was opened in Seoul's Hwekidong Kyunghee University's Square of Peace. 2PM attracted attention by presenting flowers to the actresses whilst singing 'Only You'. Nichkhun gave his rose to Lee Min Jung, the winner of Best Rookie Actress, and Junho gave his to Jo Yujung of 'Bangja's Tale'. Taecyeon playfully approached Kim Jung Eun and gave her a rose, and she replied with a hug that showed off their friendship. At 2PM's romantic stage, the actresses' smile had no ends. MC Shin Dongyup joked, "Before at SNSD's stage, the actors/actresses were controlling their faces, but now they're all smiling. Especially Yoon Yujung-sunbae is making the brightest smile in the world". On the other hand, the cold reactions towards SNSD's congratulatory performance called 'SNSD Indignity' has become a hot issue on the internet. 01:39 CHANSUNG @ KWON kekeke Ah kekeke Doesn't it look tasty keke How is the sitcom??!! ke Isn't it fun^^!?? 07:39 TAECYEON Good morning!! TTS: Cobra Starship - Good Girls Go Bad feat. Leighton Meester! 08:56 CHANSUNG @ KWON Fighting..ㅠㅠ!! 10:17 KHUN @ IAN I've never seen you tweeted this much! Hahaha that's cool tho! Anyway! Gotta work! Night bro! 17:51 TAECYEON Today we competed with the U-17 female soccer team!! They were so so cute and could play so well, we were just standing there watching kekeke Even though I'm bad at soccer I still tried my best in running after it kekeke The female representative team is the best! I regret not taking pictures with my phone's camera ㅠㅠ Continue fighting!! Let's play again when we have a chance!! 19:23 LEE MIN @ KWON Kwon ah, the song is so good!! 06:53 TAECYEON Today too, good morning?? The schedule has been very busy~ hehe If it's like that then we should work harder, right? TTS: Mary J Blige - Just Fine! Ma life is just fine!! 06:57 TAECYEON Good morning everybody!! Today's schedule is hectic and full as usual, and here is TTS: Mary J Blige - Just Fine! Ma life is just fine!! 02:01 SEULONG Ah tomorrow I have to do well in the live performanceㅠㅠ I should go to sleep soon! 14:57 KHUN It got warm all of a sudden -_- haha funny weather! 19:08 LEE MIN 2AM comeback congrats! 2PM 1st place congrats! 19:26 TAECYEON Music Bank 1st place!! Because we were so out of it we couldn't even say our thank you speeches properly!! Thank you always!! With Hottest, 2PM can fly!! 19:39 JUNSU Music Bank 2nd week 1st place^^ thank ya'll!!! 23:20 JIA @ JUNSU Have you followed me???????? And now, the man himself had upload a pic of him with Jay ! DAEBAK ! caption : Long day of filming and editing with Wong Fu Productions and Jay Park... Hopefully uploading the video tomorrow ! Hopefully hopefully we can see jay and ryan in action by tomorrow !! 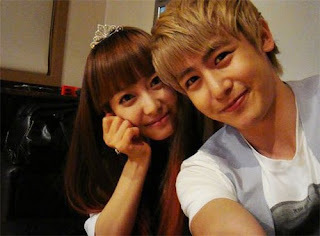 International couple Khuntoria took some selcas together! Time flies,within a blink of eyes they are "together" for 100 days d.It is great to see them having fun on the show.They took some selcas together recently to celebrate their 100th day together,they look cute here right? Singer Park Jae Bum released a digital single through a Internet music website on October 26, his agency Sidus HQ said. Sidus HQ had already announced the release of the album on October 25. The songs entitled “Speechless” and “Bestie,” which Park Jae Bum had produced together with AOM member Chacha, are included in the released digital single album. Those two songs had already been unveiled through the international digital media website iTunes on October 12 and had been ranked atop the iTunes chart.